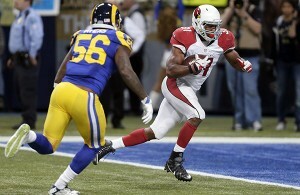 YOUR AZ CARDINALS ARE 10 – 2 !!!! In the cover story of the new issue of Cosmopolitan magazine, Miranda Lambert she talks openly about, well, everything. Starting with her marriage to — and divorce from — Blake Shelton. Lambert also admits that marriage is a tough business. “And we gave it our best college try,” she told the magazine. And even though she says that a second marriage is not on her radar at all right now, she knows that what matters the most is the feelings you have for another person. Spoken like a genuine country songwriter. Shelton alluded to his high media profile from his personal life and a strong presence on NBC’s The Voice. Little Big Town’s Jimi Westbrook, and his wife and bandmate Karen Fairchild, are mourning the tragic loss of Westbrook’s sister Joyce Marie Westbrook Morgan this week. She died on Sunday (Nov. 29), after her brave battle with cancer. Westbrook posted a photo of Joyce on Instagram and shared his story of what she was like as a big sister. According to the obituary, the family requests that donations be made to the Sarah Cannon Research Institute at 250 25th Ave. North, Suite 100, Nashville, TN 37203. No new titles to report this week on the summits of Billboard’s country albums and country airplay songs charts. For the third straight week, Chris Young’s “I’m Comin’ Over” is the most-played song. Album-wise, Chris Stapleton’s Traveller bounces back as the week’s bestselling country album.